Did our group do the right thing and pre-emptively attack Negan's outpost? What is Carol going through right now? Why did Abraham drop a bomb on Rosita? Click play below to listen to our latest podcast episode. We'd love it if you subscribed to us in iTunes as well. 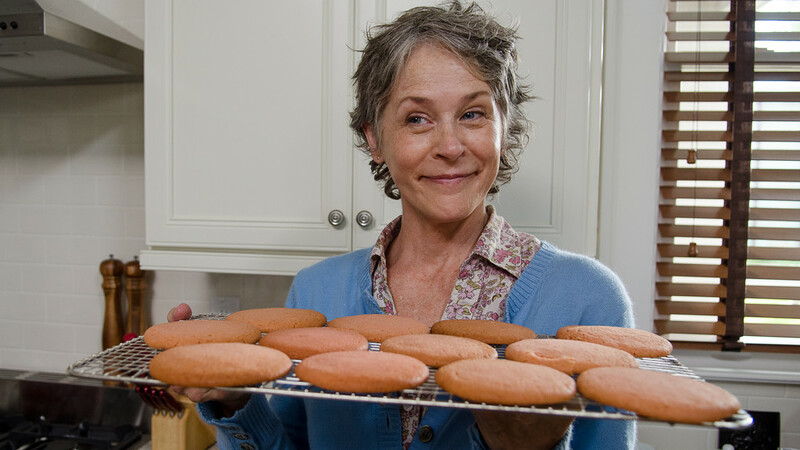 Carol makes cookies for everyone in Alexandria. The middle head is Greg Nicotero and the right one is Johnny Depp.